Based on the critically acclaimed Tony Award® nominated play by Horton Foote, The Trip To Bountiful arrives on DVD August 5th from Lionsgate Home Entertainment. A heartwarming story of a woman’s journey back home stars three-time Emmy® Award and Tony® Award winner Cicely Tyson (The Help), alongside Vanessa Williams (TV’s “Ugly Betty”), Keke Palmer (Akeelah and the Bee) and Blair Underwood (TV’s “The Event”). 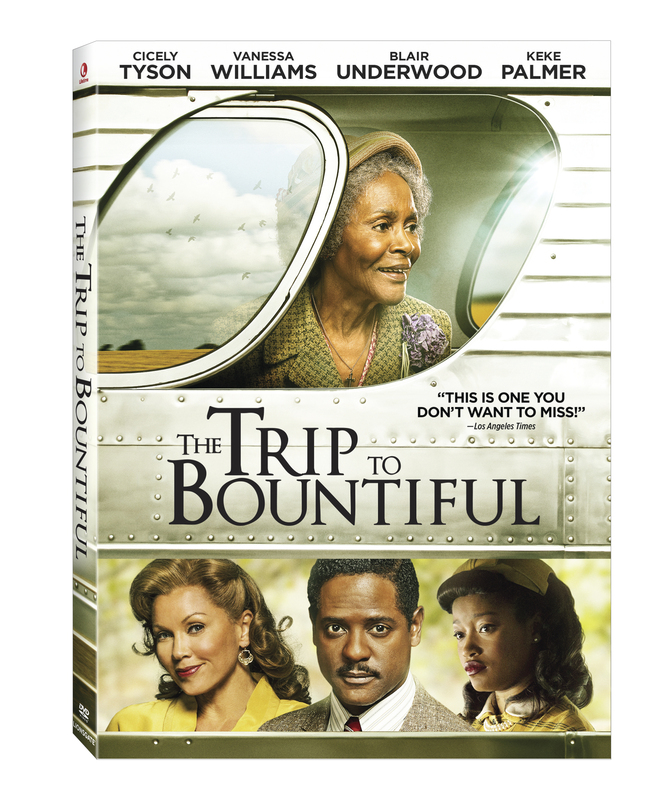 The Trip To Bountiful will be available on DVD for the suggested retail price of $14.98. The Trip To Bountiful follows Carrie Watts (Tyson), an active widow living in a cramped apartment with her son (Underwood) and daughter-in-law (Williams). Carrie escapes to realize her dearest dream: to return to her beloved hometown, Bountiful.